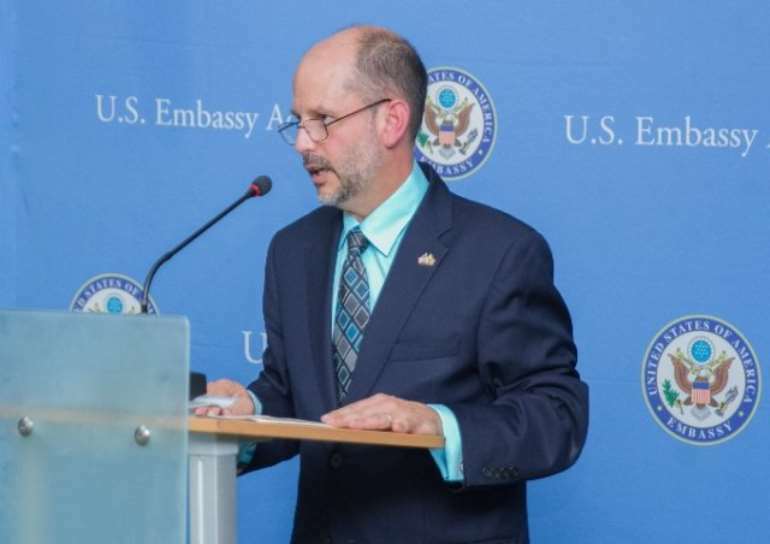 The U.S. Chargé d’Affaires Christopher J. Lamora hosted a Young African Leaders Initiative (YALI) celebratory and networking event. The event gathered members from all three branches of the YALI family; Mandela Washington Fellows, YALI Regional Leadership Center participants, and active members of the online YALI Network. The event was an opportunity to recognize the contributions of the young leaders and to urge them to look beyond their communities. It was also to seek ways to work together to promote security, good governance, prosperity, and opportunity nationwide and across the continent. 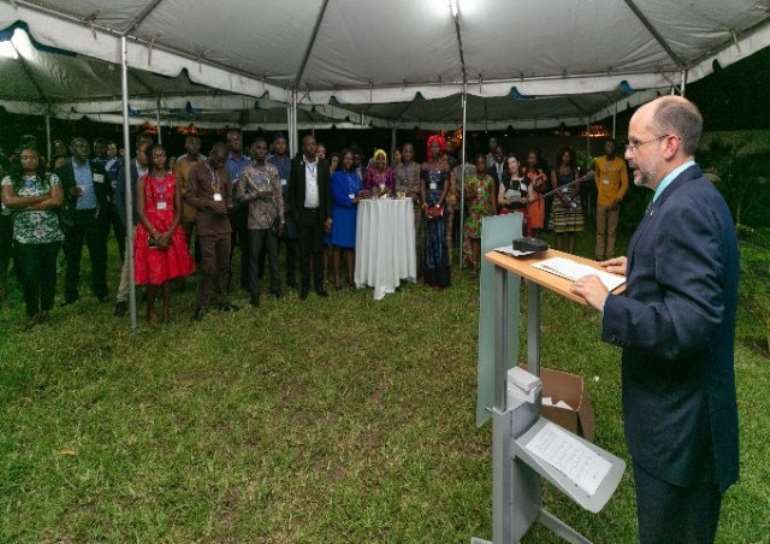 In his remarks, Mr. Lamora urged solidarity among the members of the three YALI pillars, saying, “there are a half a million aspiring young African leaders in the YALI Network and 40,000 of them are here in Ghana! 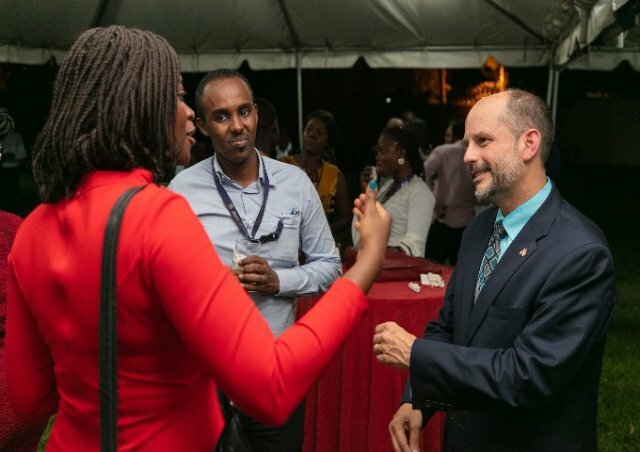 Also present at the event were representatives from the U.S. Department of State’s Bureau of International Information and Programs (IIP) which administers the online YALI Network. IIP also works closely with Department of State and U.S. Agency for International Development (USAID) colleagues in embassies across Africa to leverage the influence of over half a million digital activists through the YALI Network. While in Accra, the IIP team trained employees from 16 U.S. Embassies throughout Africa, as well as the USAID-administered Regional Leadership Center (located at GIMPA). They were also taken through strategies to engage youth and train them how to administer online courses on good governance, civic education, disability rights, empowering and building opportunities for women and girls, and protecting the environment.